Having loved the awesome art of rock and roll posters and admired many poster designers in recent years, I wanted to begin designing some posters myself. An announcement popped up on my phone one day saying Cage the Elephant would be playing in the area, so I decided to make a poster for the event. 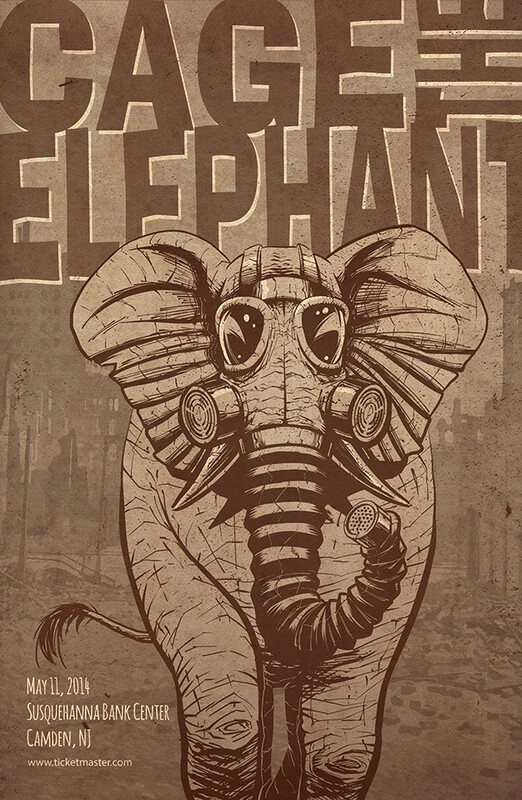 Having seen many graphic posters over the years featuring people in gas masks, I thought it would be interesting to add a twist to that by putting one on an elephant instead. Initially I had the idea of tall trees behind the elephant to try to simulate bars of a cage, but it was just too busy in the design. I decided to take them out altogether and fill the space with the band's name where the leaves and branches once were. 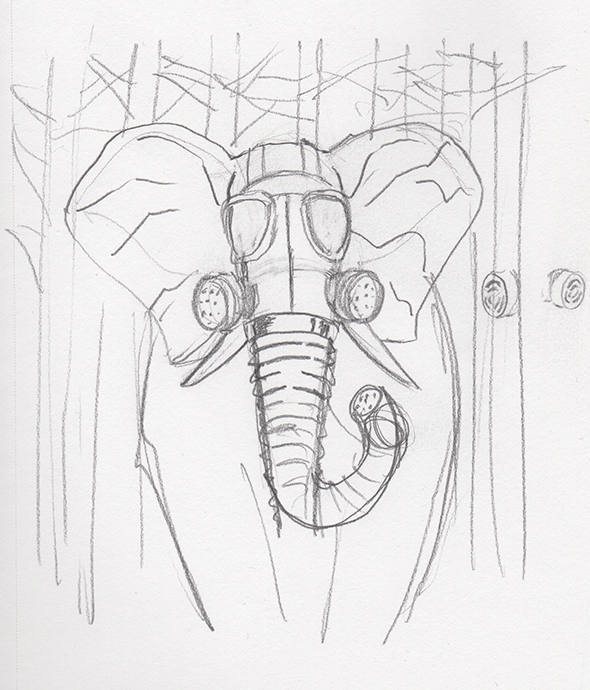 A gas mask wearing elephant in the forest didn't make much sense to me, so I placed him in the rubble of a fallen city. That seemed hazardous enough to warrant wearing the mask to me. *All artwork is original. My initial sketch with trees in the background.